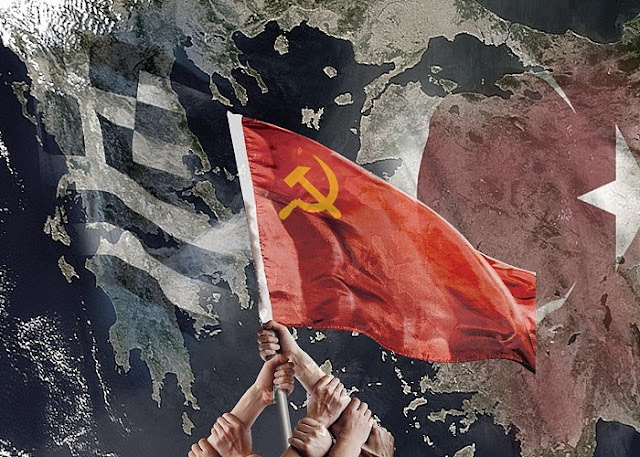 In Defense of Communism: What will Greek Communists do in case of a war? The recent escalation of Turkish government's aggressiveness, within the framework of the broader sharpening of the intra-imperialist competitions in the region, gave the opportunity to far-right and fascist circles to propagandize their known nationalist “wet dreams”. 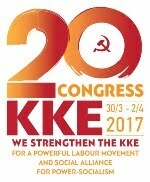 An integral part of the nationalist, far-right propaganda was always the stance of the KKE (Greek Communist Party) in case of a war between Greece and Turkey. Recycling their unhistorical, repulsive anticommunist theory about the supposed “traitorous KKE”, various fascists across Greece's political spectrum- including, of course, the criminals of the Nazi Golden Dawn- began spreading blatant lies and vulgarities. 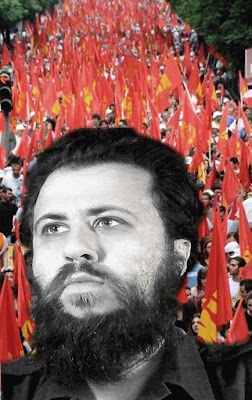 “In case of Greece's engagement in a war with another country, the KKE has ordered its members to avoid fighting” was the title of a text which, a few days ago, had been republished in various bourgeois, far-right and not, news sites. Of course, this is a known tactic for the political descendants of Maniadakis , who are masters in throwing mud against the KKE in order to vilify the Party and the Communists. 1. 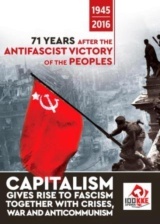 The KKE, with its members and supporters, had been the inspirer, the lifeblood and the leading force of the Greek resistance during the period of the Nazi-fascist occupation in the Second World War. The people's liberation struggle of EAM-ELAS consist a solid proof of how Communists perceive patriotism, by giving their best fighters for the liberation of the country and paying an very high price in human casualties. Here is a characteristic example: When the fascist forces of Mussolini invaded Greece, in October 1940, the imprisoned and exiled- by the Metaxas dictatorship- Communists asked to be send to the front, in order to fight. The dictatorship not only declined their request but, just a few months later, handed them over to the Nazi occupational forces. Among these heroic Communists was the General Secretary of the KKE Nikos Zachariadis who was sent to Dachau concentration camp. Here comes the question: Who fought against the occupational forces in Greece during the Second World War? Was it the bourgeois political forces who fled abroad, in Cairo and the Middle East? Was it the ideological and political ancestors of Golden Dawn's fascists, the “Security Battallions” members (known as “Tagmatasfalites”) and the collaborationists who became the best allies of the Nazis? The Greek people know the answer and History can't be re-written. As we talk about the period of the anti-fascist resistance in the Second World War, lets remind to those who don't know, or don't remember, two different oaths: the one of the ELAS fighter  and the one of the collaborationist “Security Battalions” . “I swear to the Greek people and my consciousness that I will fight until the last drop of my blood for the total liberation of Greece from the foreign yoke. That I will struggle for the safeguard of the interests of the Greek people and the restoration and consolidation of the freedoms and all their sovereign rights. For that aim I will conscientiously execute with discipline the orders and instructions of the higher organs and I will avoid any action which will dishonor me as a person and as a fighter of the working Greek people”. On the other side, the oath of the nazi-collaborationists, members of the “Security Battalions” was: “I swear to God this holy oath, that I will completely obey THE ORDERS OF THE HIGHEST LEADER OF THE GERMAN ARMY ADOLF HITLER. I will faithfuly execute the assigned services and I will unconditionally obey the orders of my superiors. I acknowledge that, for any objection against my duties, which I hereby assume, I want to be punished BY THE GERMAN MILITARY LAWS”. “The Communists, as always in our heroic 100 years old history, will lead the struggle for the safeguard of the territorial integrity, of our sovereign rights. In order to crush any foreigh invader who dares to attack Greece. Nonetheless, at the same time, we highlight from this moment that we will not show any trust to the bourgeois government which will make the war. No tolerance to the bourgeois class that participates in the war for the promotion of her own economic interests thus putting our people to shed their blood. 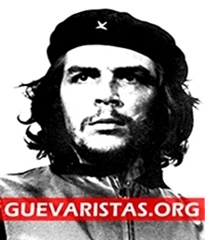 With our struggle we will try to put her [the bourgeois class] in the dustbin of History, by overthrowing her, for the ultimate victory of the people”. The above words of the Party's General Secretary clearly summarize the leninist theory for the stance of the Communists in case of a war. That means struggle against any foreign invader but also organisation of the struggle against the domestic capitalists-executioners of the working people. The children of the Greek people have no reason at all to accept being the cannon fodder of the economic interests of the plutocrats and exploiters- no matter if they are Greek, Turkish, or American capitalists. 3. In class societies, the term of patriotism has a class essence. The Greece of large industrialists and shipowners is not the same with the Greece of the worker. The Greece of Latsis (of every “Latsis”, “Vardinoyannis”, “Niarchos” , etc.) is not the same with the Greece of the dockworker who struggles daily for a slice of bread, with his labour rights being severely butchered. 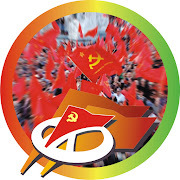 The task of the political vanguard of the working class (the Communist Party) in conditions of an imperialist war is to highlight the necessity of class unity of the working people, the alliance with the popular strata, the internationalist dimension of the solidarity between the working class in every country. 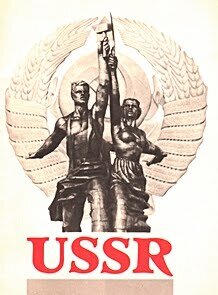 In a few words, the task of the Communists is to show to the workers, to the people, that they must not follow any imperialist, neither foreign nor domestic. The working people in Greece and Turkey have nothing to divide. They have a common enemy: The bourgeois class and the exploitative system. Photo: In Defense of Communism. 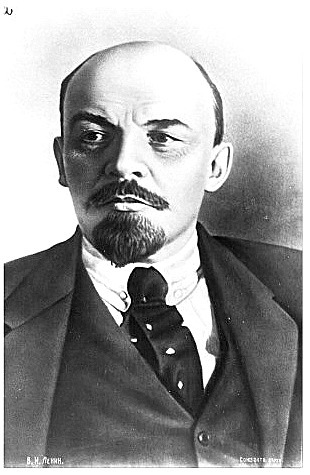 According to Vladimir I. Lenin, the “only war of liberation” was the struggle for the transformation of the war into an armed class fight, having as an aim the socialist revolution. This stance- which the bourgeois political system and its fascist allies vilify as supposedly “traitorous”- is the real patriotic stance of every worker, of every working man and woman, of every young person who wants a homeland free from the shackles of capitalist rottenness and exploitation. 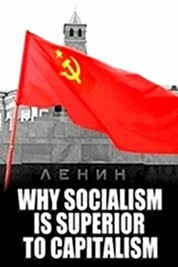 Therefore, let's make it absolutely clear: The Communists do not accept “lessons of patriotism” by the ideological and political descendants of those who led the country and her people in tragedies (e.g. Asia Minor Campaign 1919-1922, partition of Cyprus, etc). The KKE, in the 100 years course since its foundation, remains a party committed to proletarian internationalism and exactly for that reason is a purely patriotic party. Not with the meaning that the lackeys of the bourgeoisie are giving to patriotism, but with the genuine and pure perception that every man and woman who struggles for a better world has for that. Constantine Maniadakis, Greek Army officer and politician, became notorious as the head of the internal security affairs services during the dictatorship of Ioannis Metaxas (1936-1941). As a fierce anticommunist he tried to suppress and disorganize the- then young- Communist Party of Greece. ELAS (Greek People's Liberation Army) was the military wing of the National Liberation Front (EAM) during the Greek resistance against the Nazi-fascist occupation in WW2. His leader was the legendary chief captain Aris Velouchiotis. Security Battalions (Tagmata Asfalias) were Greek paramilitary groups formed by the collaborationist bourgeois government of Ioannis Rallis during the Axis occupation of Greece in WW2. Their aim was to support the Nazi army. Prominent wealthy families in Greece with large networks of businesses, both domestically and abroad. 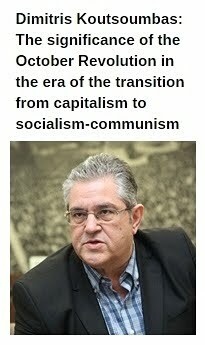 * Nikos Mottas is the Editor-in-Chief of In Defense of Communism. The above is the english version of an article originally published in atexnos.gr.